The astonishing scope of election interference on the world’s biggest social platforms came glaringly to light following the 2016 presidential election. 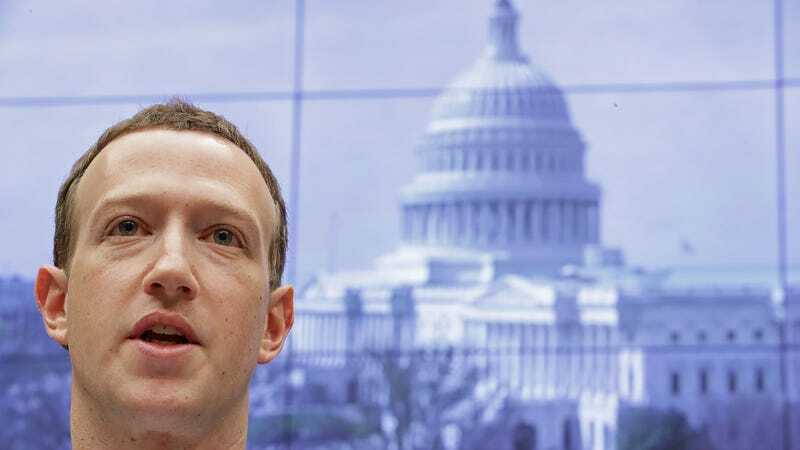 The issue is hardly resolved, so it should not come as a surprise that Facebook has created a team—and a room—dedicated to weeding out disinformation in the run-up to the U.S. midterm elections. It’s called—very seriously—the War Room. The War Room itself—which, according to a photo from the New York Times report, is literally labeled as such in fat, red letters on a sign taped to the door—lives on Facebook’s main campus in a newly constructed conference room. It’ll officially open on Monday, a little less than two months out from the midterms and just a month ahead of Brazil’s presidential elections. Samidh Chakrabarti, Facebook’s elections and civic engagement team lead, characterized the War Room as a “last line of defense” when it comes to rooting out disinformation around election periods. According to the report, these dashboards will identify “unusual activity,” including content that could lead to violence in real life. As we’ve seen with the spread of disinformation in Myanmar—namely around hateful content targeting the Muslim population in the region—a failure to prevent the spread of this type of content has grave, real-world consequences. Facebook’s known anti-disinformation efforts, as they stand, are mainly outsourced to third parties, and have appeared largely experimental and sometimes biased. A Facebook spokesperson told Gizmodo last month that the social network does not have an in-house team dedicated to fact-checking, but this War Room points to a future in which Facebook begins tackling one of its most—if not its most—menacing issues from the inside. But until that War Room work actually gets started, all we have is some unbelievably on-the-nose PR.